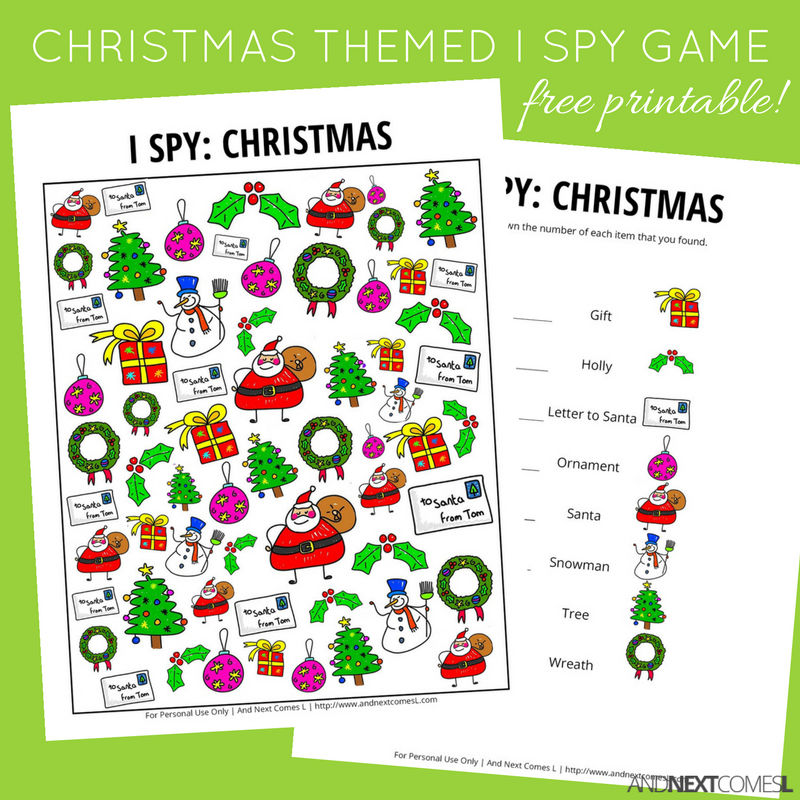 This free Christmas themed I spy printable for kids would be a fun advent calendar activity for kids or even a great stocking stuffer idea! 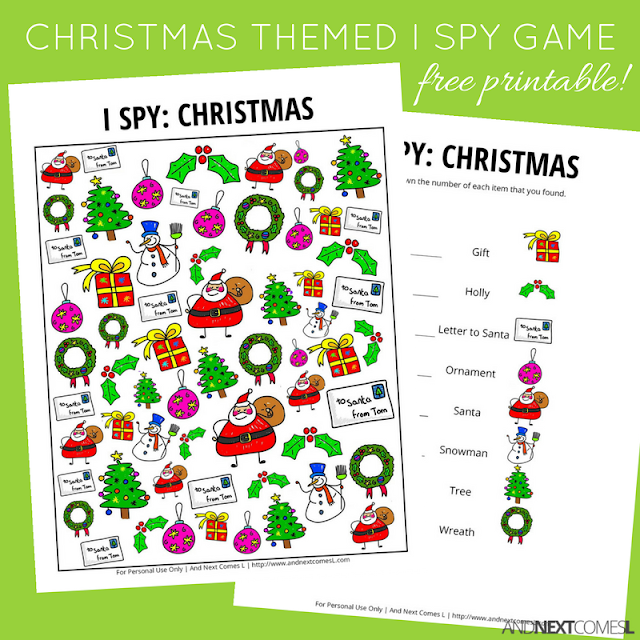 Here's another adorable free printable Christmas themed I spy game for kids. With simple Christmas doodles of Santa, wreaths, and more, this I spy game is a perfect Christmas quiet time activity for kids of all ages! Remember, you could add this printable to an activity advent calendar or use it as a stocking stuffer at Christmas. 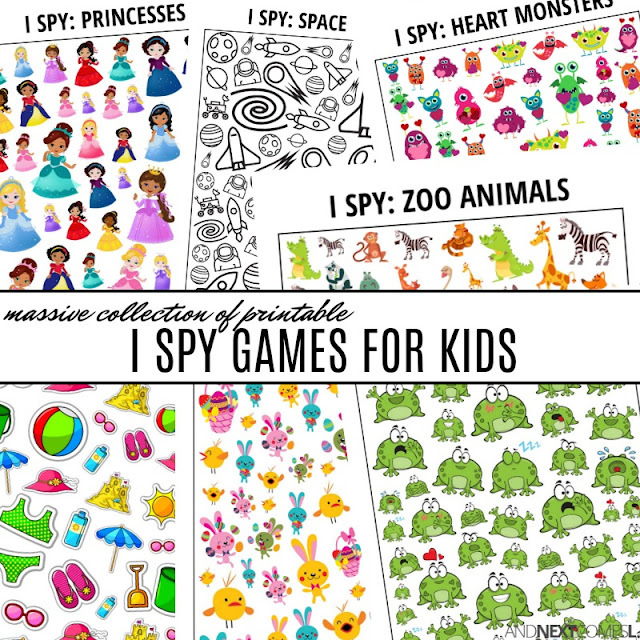 I Spy printables like this Christmas doodles one are great for providing visual sensory input to kids, making them a great choice for visual sensory seekers. They also help develop a child's visual tracking ability and improve visual discrimination. This printable requires kids to visually scan through the objects and find ones that are the same.